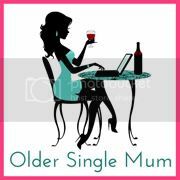 Older Single Mum: Playing Pictionary. Sometimes you gotta have a li'l fun and although the height of the watched DVD stack on the sideboard was shameful by the time that the end of half term came around, I did manage to get the persuade the boys to get the Pictionary board out a few times. Is it like getting blood out of a stone at your end as well? We always say how much more fun playing games rather than watching TV is, yet they'd rather be staring at / playing on one screen or another and it's so easy to be complacent and let them, especially when the weather has been so awful for so long, but I sometimes get a sense of loss or failure with too much leniency. So we try a game or two which is always more agreeable. Unless the Fearsome Four Year Old is too tired. Or they're hungry. Or cooking is pressing... you get my drift. It's only relatively recently we've been able to sit down as a family and play properly because the youngest wasn't ready. He still prefers the giant Snakes and Ladders, spread out in the centre of kitchen floor, with its almighty dice, preferably alone because he always wins - and remarkably quickly too! He's awfully competitive - a terrible loser and a truly ungracious winner, but this is the point of playing - to learn the necessary social skills that make it a pleasure for us all. 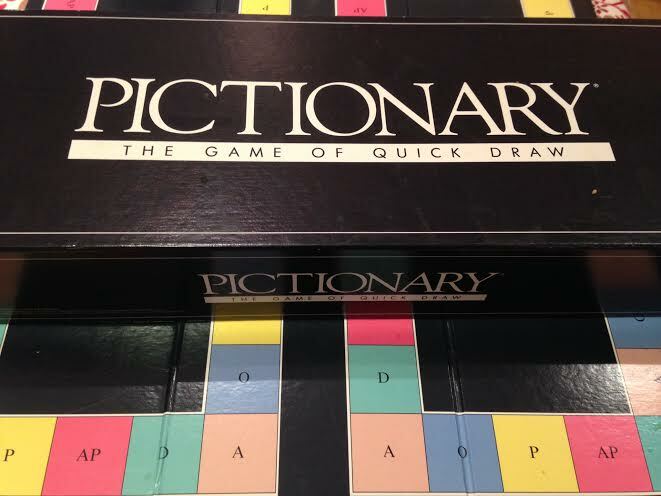 Our favourite at the moment is Pictionary although we have to bend the rules until they're virtually unrecognizable because there's only the three of us so we can't make two teams and it has to be something that we're sure he will be able to understand or identify. The Awesome Eight Year old and I love it. It's extraordinarily simple - with one minute to draw a picture that the others will recognize, having been given the subject by the cards given with the game. Success means travelling around the board more quickly, reaching the end goal and winning. But we don't have much of that. We do have lots of giggles though whilst the pencil is in action and there is a timer provided which really adds to the pressure and fun factor! Here are some examples. The more indignant the drawer becomes, the more hilarious it is. Above - my drawing - and their (mortally offending) guesses: A Pirate. Buzz Lightyear. Goldilocks and the Three Bears. 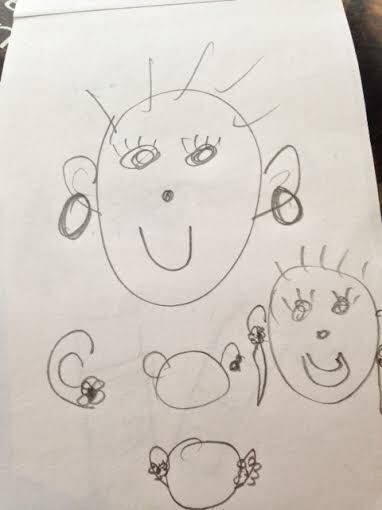 Correct answer = An earring! 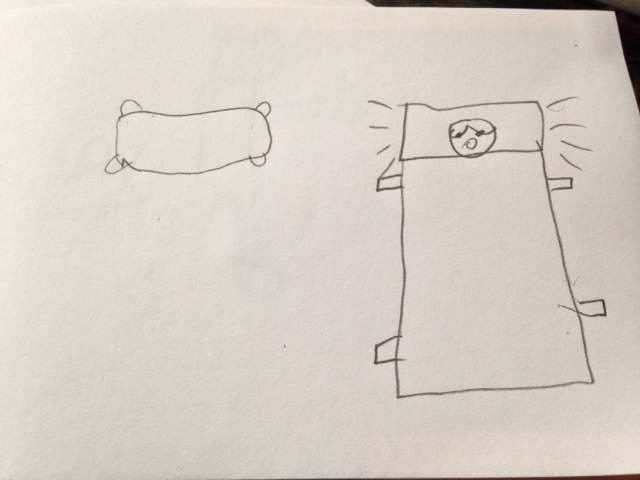 Below - eldest's drawing - and our (really riling him up) conjectures: Magic Carpet. A skunk. Crying. A bed. Correct answer = A pillow! 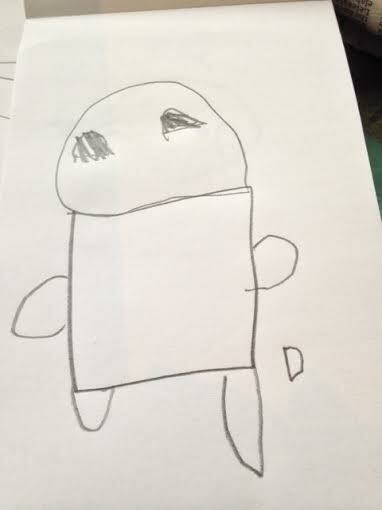 The youngest's drawing and our attempts to identify it (provoking seriously hearty but amusing huffs) as it slowly progressed: A teapot. A headless guy. A house. A poo. And the answer = A giant! But the good laughs galore throughout make this old game worth it. There are some newer versions out but this has stood us in good stead. It was first introduced to me some years before the kids came along when staying on a friend's family farm in Wales. They've moved to New Zealand now and I miss them - the entertainment (along with the home made beer) still rates as one of the the highlights of my life. It doesn't hurt to force a li'l fun on the children sometimes! I've not played dictionary in years - always used to love it though. And is it really bad that my first guess on that last picture was also "poo"! It's either really bad Penny or reflective of the age of your children, lol! I love Pictionary and I'm ace at it! Haha. The trick is to have a partner who's on your wavelength. As you can see, there is no talent required! I remember that too and I hope you manage to get the game. Let me know when you do! I love the fact we all get so annoyed when people don't get our drawings immediately! Oh my, I LOVE Those drawings!!! Too precious. Try it with your hubbie! We haven't got this game. We are always reviewing games and I can so relate to the bending the rules bit. Or favourites are Monopoly (you'd be shocked at how many editions we have) and I love Cluedo (as I'm more likely to win). I do hope this has inspired you to get into the game Joy and we have Cluedo here but haven't got around to playing it yet - loved it as a child! We used to have pictionary tournaments in teams 25 years ago. We played into the night or until the neighbours told us to shut up. Loved it. So glad I'm not imagining that it's not just for kids! I trust you! And hereby vow to force them more often! 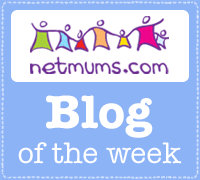 We need to get the games out more often, and tear the boys away from the TV or games console. I tend to give up, as there are too many tantrums if they're not winning, or we don't let them cheat. Oh I love Pictionary so much. Played it such a lot as a late teen with my friends it got to the point where we could draw two hills and someone would guess "Lawrence of Arabia". Pickle is old enough by TM can't draw yet, so it's off the cards for a while. I thought all 3 of yours above were easy. I do think it's a real skill to communicate something from your own brain to recognise other perspectives. Good life skill. Pictionary is such a hoot! I think it is wonderful that you play board games with your children. We also did, and till this day they still do. Last night, the teenage boy (19) and his friends played RISK, scrabble with his older sister and dad (I was sleeping) and days before that Axis and Allies with his dad for two days. Keep it up, this is one activity you will never regret teaching them.